What do Brinks Home Security, Broadview Security, APX Alarm and Pinnacle Security have in common? They are all former SDM Top 100 security companies that have either undergone identity changes or orphaned their customers by selling their customer security contracts to other security companies. For some customers, the changes were virtually seamless….for others chaotic. The foundation of security should be about providing personalized security…an intimate relationship in which a company stands guard of your most treasured possessions. The things that matter most in your lives…your family….your home…irreplaceable personal belongings. It provides a sanctuary where all feel safe and protected from the harsh and often dangerous world. As Ving Rhames puts it…”a line in the sand”. But, when home security transitions from main street to wall street- sometimes, something gets lost. Large batches of security contracts get bought and sold by corporate financial institutions. Contracts change hands…and when this happens, many customers are left wondering…who is out there protecting my family? If you signed up with Brinks, Broadview, APX or Pinnacle…you may be wondering the same thing. 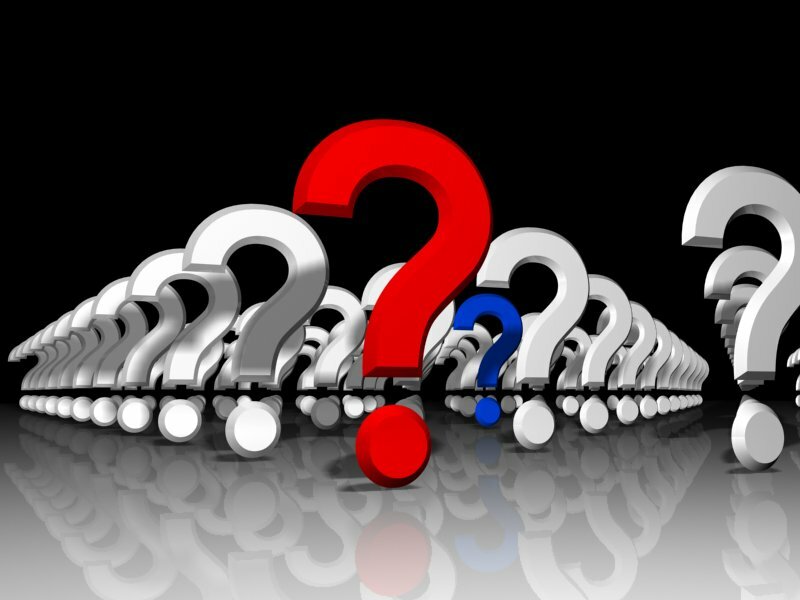 Lets take a look at each of these companies in more detail- so you can have a better idea what has transpired….and what might be your best options for protecting your family and the things that matter most to you. 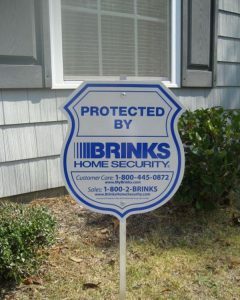 Brinks Home Security has returned! For the latest on Brinks Home Security Systems, check out our 2018 Brinks Home Security Reviews, HERE. Is a NEW Home Security System Worth it? If you signed up with one of these companies, there may be a different sign on your door now. Do you know who is watching out for your family? Where to go when something goes wrong? Many people don’t… We are here to help you find the answers and help you explore your options to best protect you family and enjoy the comfort and conveniences of an affordable security and home automation system. Navigation TIP– To make it easier to navigate directly to the information that you find most useful, we’ve created a Table of Contents to the left which will help allow you to “jump” to the section which most interests you. Brink’s was introduced in 1859 when Perry Brink started out hauling travel luggage in support of fatigued visitors throughout Chicago by means of horse drawn carriages. Once they began making secure banking deliveries in the 1890’s, the family owned enterprise moved into the security marketplace . In the long run Brink’s Security developed into a multi-national armored car distribution conglomerate which we recognize currently. By 1983, the firm introduced a whole new subsidiary, Brinks Home Security. They identified the expansion possibilities of the emerging home security industry. Throughout the subsequent two-and-a-half decades Brinks has been a household name and also evolved into among the list of most significant people in the home security marketplace. Nevertheless, while the well known armored commercial transport vehicles continue to roam the streets of cities throughout North America, Brinks Home Security Systems would ultimately be considered a thing of the past…. In 2009, Brinks spun off the subsidiary to be considered a publicly owned enterprise, and ended up being re-branded as Broadview Security. Previous Brinks clientele began to see contemporary Broadview logos on the invoices in addition to being given updated yard signs and window stickers. Apart from that…little else had changed. However, before the ink was even dry on the new Broadview merchandise, the faithful Brinks patrons would eventually be converting signs and stickers and penning checks to a different monitoring provider…ADT Home Security. In 2010, Tyco International, parent corporation of industry giant, ADT, acquired Broadview Security for approximately Two Billion dollars. This affected approximately 1.3 million consumers. That’s a LOT of customers. If you’re one of them,we hope you’ll share your comments and experiences below. Broadview Security made their debut in the world of home security in 2009. Essentially, Broadview Security was a spin off from Brinks that enabled the home security division to be publicly traded. The rebranding had little impact on customers..other than changing yard sign and window stickers. However, it did result in a shift in advertising that had previously focused on the credibility and storied history of Brinks Home Security. The transition from Brinks to Broadview also marked the beginning of questionable advertising strategies which focused on scare tactics…such as this Broadview Security ad. However, Broadview Security was not around for very long, as they were acquired by ADT in 2010. If you are one of the 1.3 million customers acquired by ADT and did not receive an equipment upgrade, have service or equipment issues or feel that you are paying too much…..read on. If you have a previous experience with either Brinks Home Security, Broadview Security, APX Allarms or Pinnacle Security, please share your experiences in the comment section below. APX Alarm was founded in 1999 by Todd Pederson and Keith Nelleson in Provo,Utah. These two accomplished entrepreneurs built an impressive customer base primarily through aggressive door to door marketing. APX Alarm was installing systems that were valued at $1200 for just $99. However, they required a 60 month monitoring contract in most areas. Many customers who purchased these systems complained that they had never been informed of the length of contract and that overzealous sales personnel had misrepresented the promotion and often resorted to over aggressive sales tactics. Consequently, they were plagued by a negative online reputation, poor BBB ratings and legal issues over the years. Their trajectory towards the top of the home security industry was facilitated by a number of strategic partnerships with financial heavyweights Goldman Sachs and the Blackstone Group. Ultimately, they re-branded as Vivint in 2011…and have made great strides towards improving their standings with the BBB. However, not everyone has been happy with the transition. If you are an APX Alarm customer who has not upgraded to a new contract, and feels you may be paying to much…you mat want to consider some of the alternatives outlined below. And, please feel free to share your experience with APX Alarms in the comment section below. Pinnacle Security was launched in 2001 in Orem, Utah. Another Utah based home security company, they expanded quickly utilizing an agrressive door to door sales strategy. 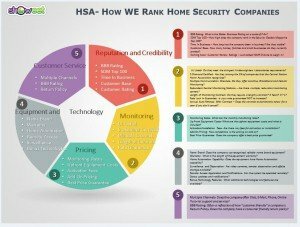 Consequently, the Pinnacle Alarm company was beset by the same reputation and legal woes which plagued some of the other now defunct companies listed above. Nevertheless…they amassed a huge customer base tied into lengthy contracts which they began selling off in 2012. The owners and management team began splitting up the company and selling it off in pieces. Rather than creating a smooth transition to another company for their entire customer base, they set out to maximize Pinnacle ownership profits and sold contracts and assets off to multiple entities. Monitronics purchased 93,000 customer accounts in 2012….to the tune of $131 million. Another 24,000 Pinnacle accounts were sold off to Safe Security in 2013. In the same year, Protection One acquired the Pinnacle home office facility and personnel…along with the intellectual rights to Pinnacle’s proprietary CRM and tracking program. In addition, Protection1 hired owners and key personnel to launch their own “door knocking” program. Clearly, the ownership, key management and support teams of Pinnacle Security landed on their feet. But, where does that leave Pinnacle’s customer base? Thousands of customers will soon be receiving a letter in the mail from Pinnacle Security. The company had mysteriously started deleting social media accounts in 2013 and now they’ve yanked their website leaving behind a vague message. Well…that depends. There are lots of folks would you assert that when it “ain’t broke…don’t fix it”. Nevertheless, with regards to technological innovation..products improve fairly quickly. More recent systems possess considerably more capabilities. Upgrading will certainly include remote management and comfort and convenience functions that had been unavailable in years past. R&D departments are continuously researching ways to improve the buyer experience and make all this functionality easier to use. These functions are generally integrated into new systems every year. Innovative systems tend to be forward capable and may be routinely kept up to date via over the air functionality constructed into the systems. This helps prevent new home alarm systems from becoming outdated. Older systems hardly ever possess these types of capabilities. In the event the system had been installed in the last 6-7 years, it is most probably wireless. 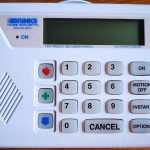 However, the large majority of Brinks home alarm systems tend to be conventional hardwired. I personally have observed systems in service for more than two decades which are even now functional. Nonetheless, most businesses will not likely service pre-existing systems from a different company or that happen to be in excess of 10 years old. If you are a Do It Yourselfer, you may be able to locate parts and keep your system up and running. Smoke detectors should definitely be replaced after 10 years. While some folks may take great pride in keeping an old clock ticking….there comes a point where one may be throwing good money after bad. And when it comes to something important as home security…do you really want to take chances? While the allure of modern touch screen keypads, home automation and video surveillance and remote management capabilities on your iPhone might appeal to some….there are some who just want to keep it simple and “kick it old school”. Perhaps the existing hard wired system still works fine. Nevertheless, the system that may have initially cost thousands to install can be defeated by today’s more savvy criminals with a $5 pair of wire cutters. If you have a landline or broadband connection to your monitoring center….your system is vulnerable. It depends on the phone or cable connection to communicate an alarm signal. If these lines are compromised…the intruder has turned your once state of the art security system into an expensive noise maker. ADT or your existing service provider may charge you a much higher cellular monitoring rate and hundreds of dollars to install a cellular upgrade. However, our #1 Top Rated Provider, Protect America, has a much simpler solution. And the best part is it’s FREE when you subscribe to their monitoring services. This Cellular module is a snap to install. 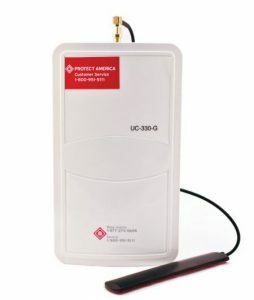 It will enable you to monitor your existing equipment, without the need to maintain a landline phone connection. Additionally, a cellular connection is not susceptible to phone or cable outages. It also cannot be defeated by one snip with a set of wire cutters. Looking to take advantage of the features, aesthetics and technological advances of a more modern security system? Want to leverage the perfectly good hard wired components of your existing Brinks home security system? Link Interactive Security has a nifty Take Super Switch. It will enable you to tie in 8 Hardwired Zones of your existing system and convert to their state of the art 2Gig Go! Control Panel. This DIY alarm option is available with 100% cellular rates for as low as $29.99! With very minimal up front costs, you can create a hybrid system that will transform your old school hard wired system into a marvel of modern technology! Do you have a newer wireless Brinks,Broadview,APX or Pinnacle Home Security System? Link interactive has you covered there as well. You can upgrade to a state of the art 2 GIG Technologies or a Qolsys security panel and still use all your existing Brinks wireless sensors. Link Interactive has a GE to 2Gig translator and a DSC to 2 GIG translator that will enable you to accommodate other sensors and transmitters. This way you can utilize existing wireless sensors and enjoy the latest technology in your home. Not sure you’re up to the task of a DIY upgrade? Roughly 92% of Link Interactive customers found the systems easy to install. Get more information on Link Interactive Security or give them a call at 866.302.6138! Maybe your security has seen it’s better days. Motions are archaic…keypads are sticking and back up batteries are beeping. Don’t trust those wires in the walls, anymore? Maybe it’s time for a complete overhaul. Perhaps the best bet is to remove the outdated equipment and start with a clean slate….but, the “basic system” of 2 doors and a motion doesn’t cut it. 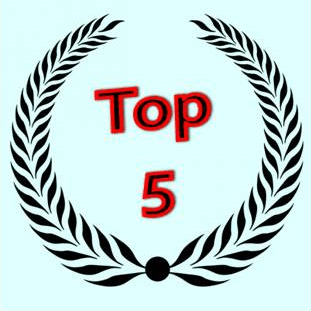 Sure..there are plenty of great options as we lay out in our 2016 Top 5 review. But, if you want a comprehensive system…and you don’t want to re-mortgage the house or eat Ramen noodles for a year to update Protect America has the solution. They will provide up to $1400 worth of state of the art equipment and monitor your system 24/7 for one low rate…with $0 in equipment costs! Click Here for More Information and FREE QUOTE! You get a Simon XT control panel which even talks to you along with 14 sensors to protect your home and family with no up front equipment costs! Want to be able to control the system remotely from your mobile phone and get the latest in home automation? The folks at Protect America will help you mix and match components to create the system of your dreams with $0 up front equipment costs…at the guaranteed lowest price! Call 888.951.5140 for latest promos! Owning an older home security system can ultimately prove to be very costly when it comes to maintaining the system. Replacing a central control panel can mean hundreds of dollars for the equipment, plus the labor costs of an electrician of home security technician to come out to the home to install it. Many companies offer a “take-over” device which enables you to utilize much of the existing equipment and connecting it to a brand new control panel and keypads that are fully warrantied. This eliminates the risk of unexpected and costly repairs. Some companies, such as Protect America, offer Lifetime Equipment Warranties, as long as you remain a customer, so you will never have to worry about the prospect of expensive maintenance costs down the road. 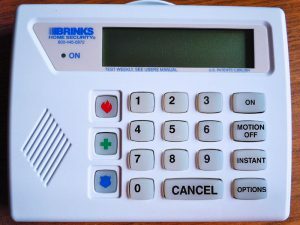 The vast majority of Brinks Home Security customers have systems that are connected to the central monitoring station via landline service. These connections can be disabled with a simple $5 pair of pliers and are the least secure means of communication. While that may have been the only technology available (or affordable) at the time, currently cellular service is available in 98% of the country. 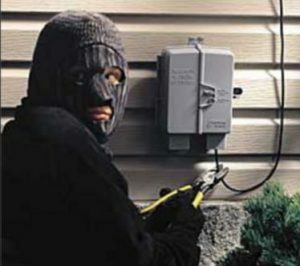 In many households, the only reason folks are keeping their landline service is for their home security system. Many home security companies, such as Frontpoint, include cellular monitoring free with any of their monitoring packages. By eliminating landline service, some people SAVE $20-$30 a month! Whether you are with Brinks Home Security, Broadview Security, APX or Pinnacle…you are likely paying more for less than you would be with Armorax Security. While they are a relative newcomer to the home security industry, Armorax is making a name for itself by offering more and paying less! Not only do they have the latest 2GIG Technologies equipment, but, they offer the basic system for FREE with a standard 36 month agreement. But they don’t stop there. Monthly cellular monitoring is just $24.95! That’s roughly half of what most competitors charge for comparable monitoring services. And that is not an introductory rate….it is a locked in rate for the full length of the agreement! And..it is 100% cellular and includes Alarm.com‘s Crash and Smash and full home automation capabilities. Add to that a 3 year equipment warranty and a 30 day return policy with no shipping, activation or restocking fees…and you have a winning combination! A lot of people think those gorgeous full color touchscreen control panels must be expensive and complicated to operate (with all that fancy new technology). In reality, quite the opposite is true. In addition to being far more aesthetically pleasing, they are actually far more user friendly than the standard pushbutton control panel. They are as easy to use as the I-phone-with intuitive menu-based screens that walk you through everything. And these color displays aren’t just pretty to look at. Some, like the Qolsys IQ, offered as an option bt Frontpoint, will even capture an image of who disarms the system…so you always know who is disarming the system. When Brinks Home Security was one of the top players in home security, home automation was something you saw in sci-fi films or The Jetsons. Now technology makes the smart home a reality. Home automation can be easily integrated into the modern home security system through Z-Wave technology. 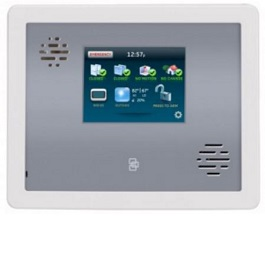 This enables one to control thermostats, lighting, small appliances and door locks through the home security system. Mobile Apps such as Alarm.com, Total Connect, ADT Pulse and Vivint Sky Control enable you to manage your home security system and control any of these functions on your web connected computer browser or any iPad, iPhone, Android or Blackberry device. Sound expensive? Well, it doesn’t have to be. Protect America makes it affordable with their $0 upfront equipment cost program. Sound too complicated? Well…90% of people found that their DIY alarms easy to install. Nevertheless, ADT-Protect Your Home and Vivint can ease your concerns with professionally installed security solutions at competitive rates with minimal up front costs. There really is no single best solution. 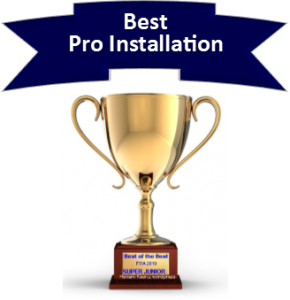 The best upgrade alternative for any customers looking to update their security system really depends on what you are trying to accomplish…and what your priorities are. With that in mind we have listed our top choices in each category. We hope you find this helpful and find the best alternative that will provide the features you want and the protection you need for your home and family. Protect America offers the best combination of overall value by eliminating costly up front equipment expenses and making quality home security affordable to virtually anyone. They offer monitoring plans with $0 up front costs-as monitoring rates as low as $19.99/mo. The GE Simon XT has earned a reputation for reliable performance and they back their equipment with a Lifetime Warranty… with a Best Price and Rate Lock Guarantee. Armorax Security combines an ultra-affordable no contract monthly rate of just $24.95/mo. with a FREE 2Gig Technologies GC2 with a standard 36 month agreement. This unbeatable monitoring rate includes cellular monitoring and the full Alarm.com portfolio of advanced interactive and home automation services. They back the system with a 3 year warranty and include a Rate Lock Guarantee! This “up and comer” has all the ingredients to battle for the top spot in our Best Home Security list for years to come! Still unsure? They even offer a 30 Day Satisfaction Guarantee, with N0 Activation, NO Shipping and No Restocking Fees…so what have you got to lose? Frontpoint has distinguished themselves year after year with an A+ BBB rating by offering best in class customer service. Their low key sales approach combined with flexible billing options, a 3 year equipment warranty and an unconditional 30 day money back return policy (which even include return shipping) ensures complete customer satisfaction. The parent company of top rated DIY alarm company, Link Interactive is Mountain Alarm. They have been professionally installing home security systems for over 60 years. Consequently, they know a thing or two about installing a wide variety of security equipment. This kind of in the field, hands on support, ensures that Link Interactive customers get the very best tech support when installing their systems. When it comes to professionally installing home security systems, ADT has been helping to protect homes and families for over 100 years. The ADT name can be found in millions of homes across the country. The ADT brand is virtually synonymous with home security and has held the #1 spot in the SDM rankings since 1991. Conclusion- Brinks Home Security, Broadview Security, APX Alarms and Pinnacle have had their day. These companies all had a strong reputation for professionally installing the best home security systems of their era. If you own one of these security systems we hope that you have enjoyed many years of quality protection and dependable service.. However, as time marches on…technology renders even the most reputable equipment obsolete eventually. Maybe the time has come to retire the system that you have entrusted with the protection of your home and family. Hopefully it has served you well. But like most technology, their have been vast improvements in recent years- affording a whole host of new features that provide benefits which could only be imagined when your original system was purchased. Perhaps one of these options outlined above will provide you with a comfortable transition from your existing or previous company to the next generation of security and home automation. Thank you for visiting. Please feel free to share Brinks Home Security, Broadview Security, APX and Pinnacle- 2017 Upgrade Options and leave your comments below.